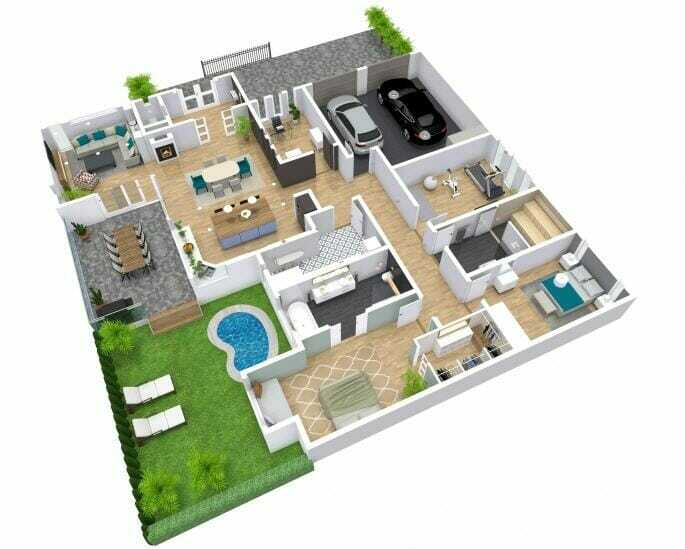 A 2D floor plan is a type of diagram that shows the layout of a space from above including the walls and rooms. 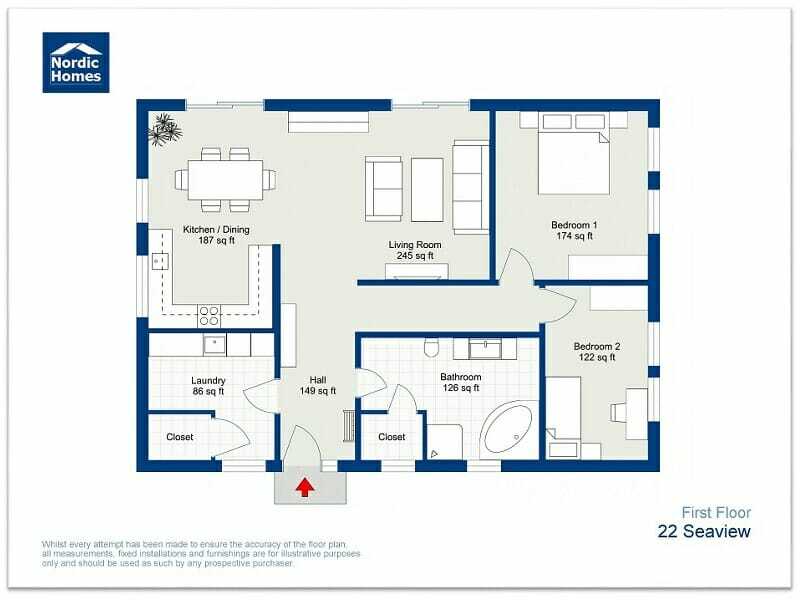 2D means that the floor plan is a “flat” drawing, without perspective or depth. 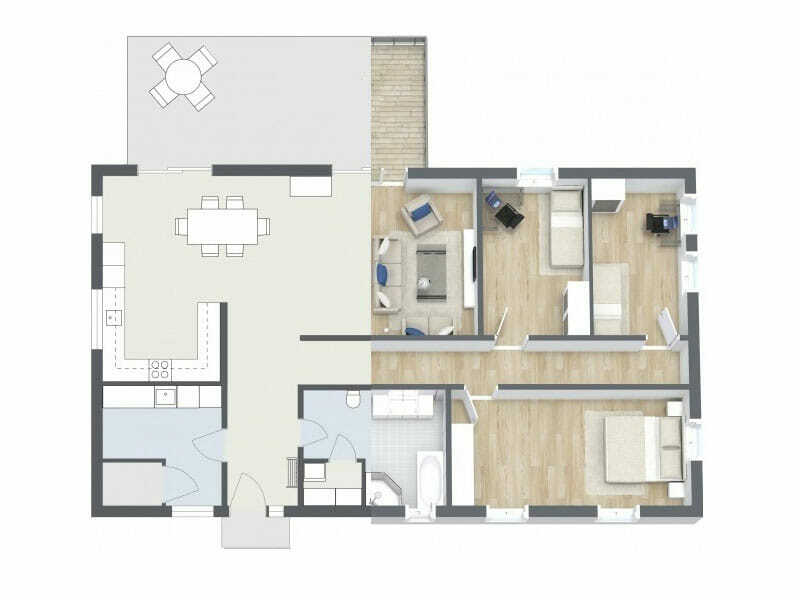 A 2D floor plan can be a sketch, a blueprint or computer drawing. 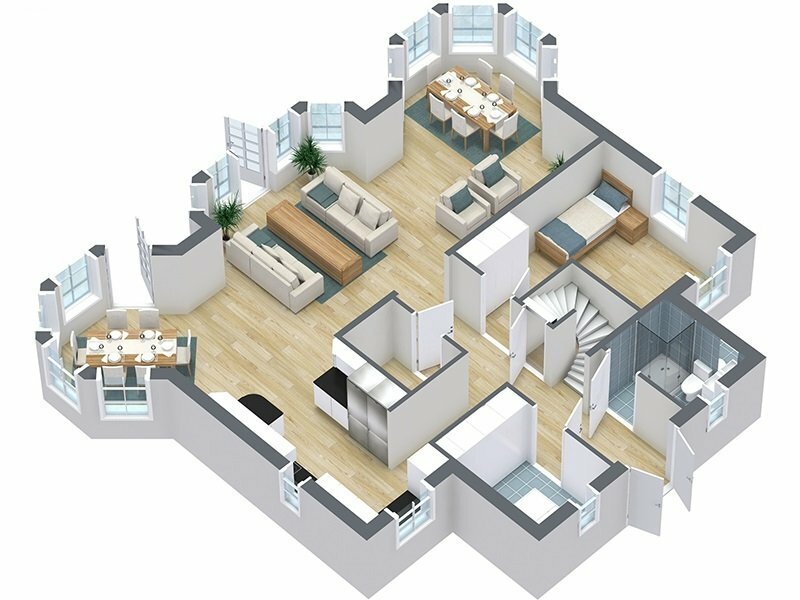 A 3D floor plan is a type of diagram that shows the layout of a home or property in 3D. 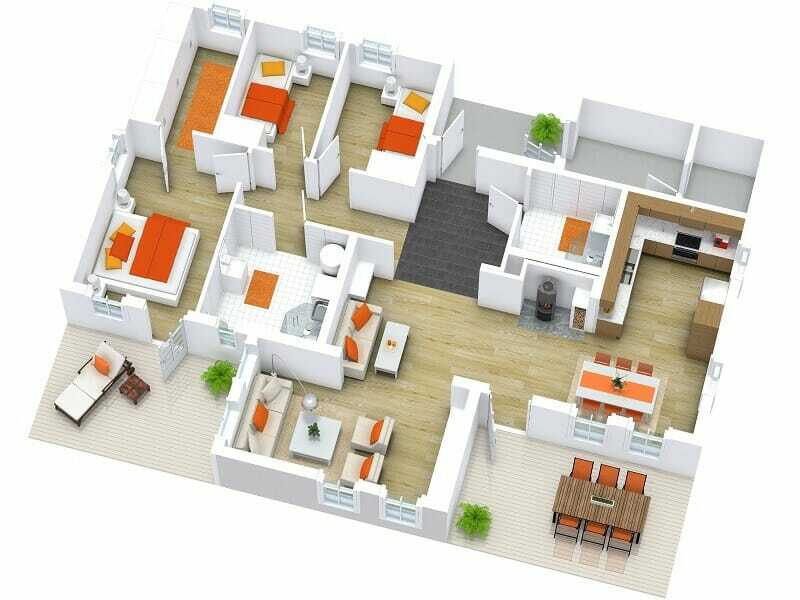 3D means that the floor plan shows both perspective and height. 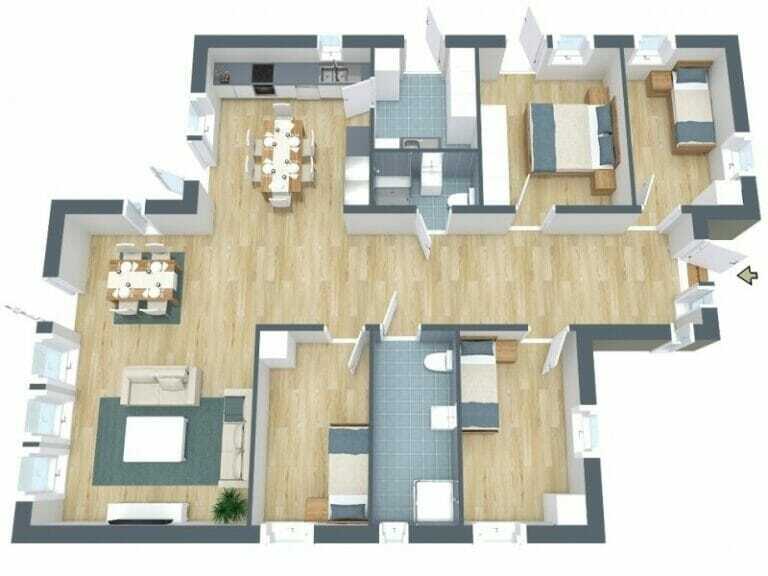 Unlike a 2D Floor Plans, a 3D Floor Plan has more detail and makes it easier to understand the space. 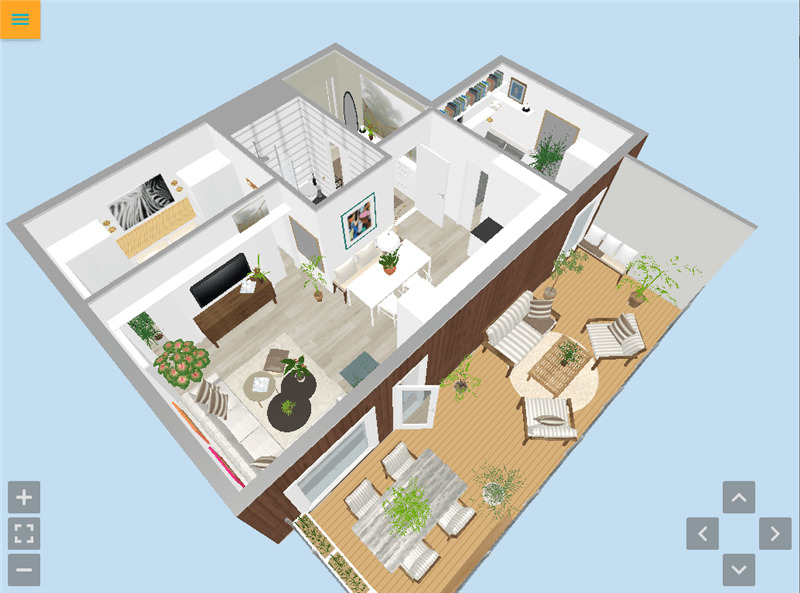 Bring your floor plans and home designs to life with Live 3D! Tour the property in a virtual 3D walkthrough. 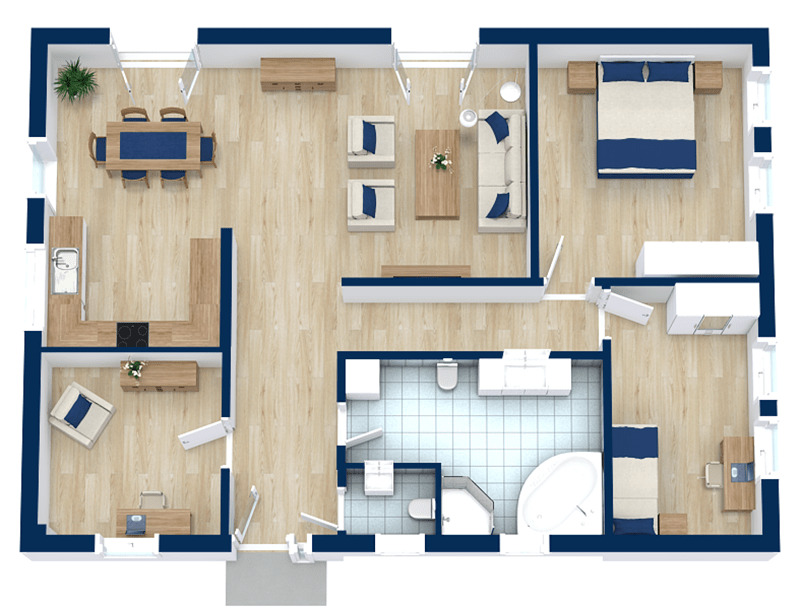 With RoomSketcher, you can create floor plans, home designs and office projects online. You can draw floor plans yourself, or order floor plans from our Floor Plan Services. Access many of our features without spending a cent. Upgrade for more powerful features – it’s that easy!